Today’s townland is Tullynagee in County Down. I haven’t travelled far from my last post, as Tullynagee is just to the north of Sunday’s townland of Kilmood and Ballybunden, between Ballygowan and Lisbane. The Tullynagee Road runs through the townland, and then continues north into Ballygraffan townland. 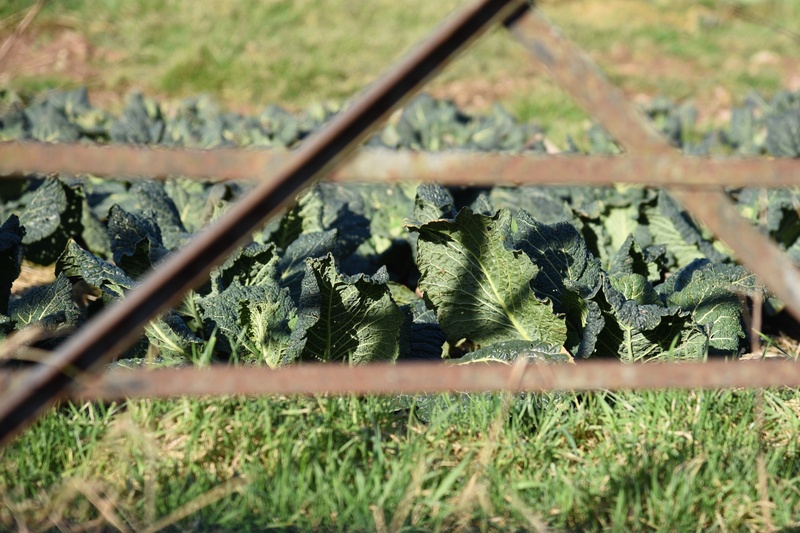 When I visited in February, the most abundant crop in Tullynagee was the cabbage. 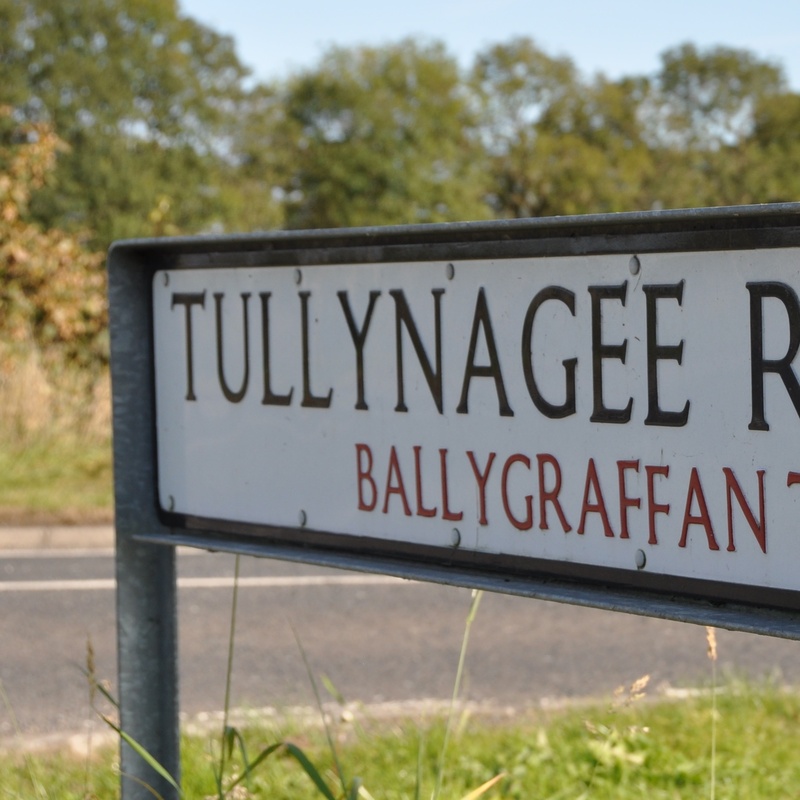 According to the PLACENAMESNI website, the name Tullynagee comes from the Irish Tulaigh na Gaoithe meaning “hillock of the wind”. I stopped on Lisbarnet Road to photograph Tullynagee Lough. 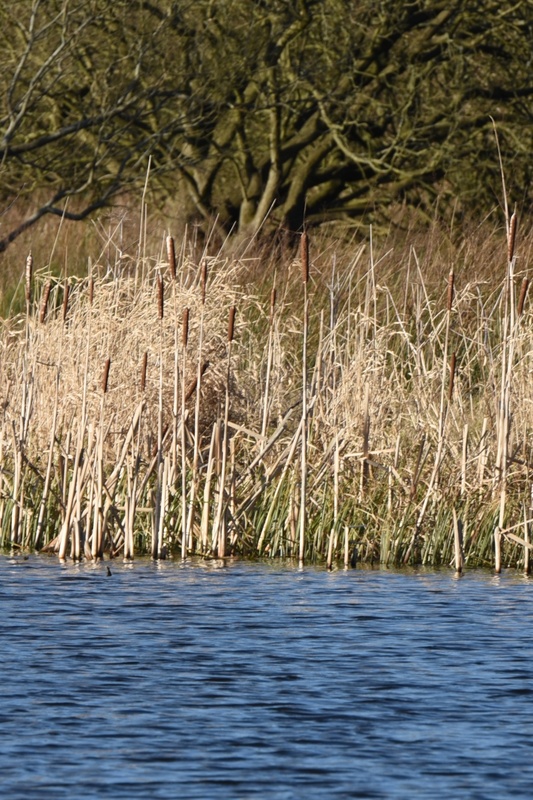 The area around the lough has been designated as a “Site of Local Nature Conservation Importance”. 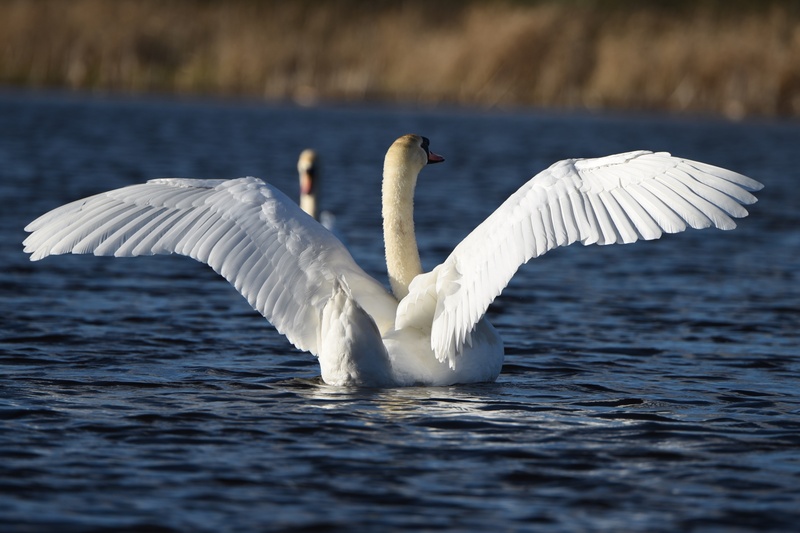 The swans and I agree that it’s worth preserving. 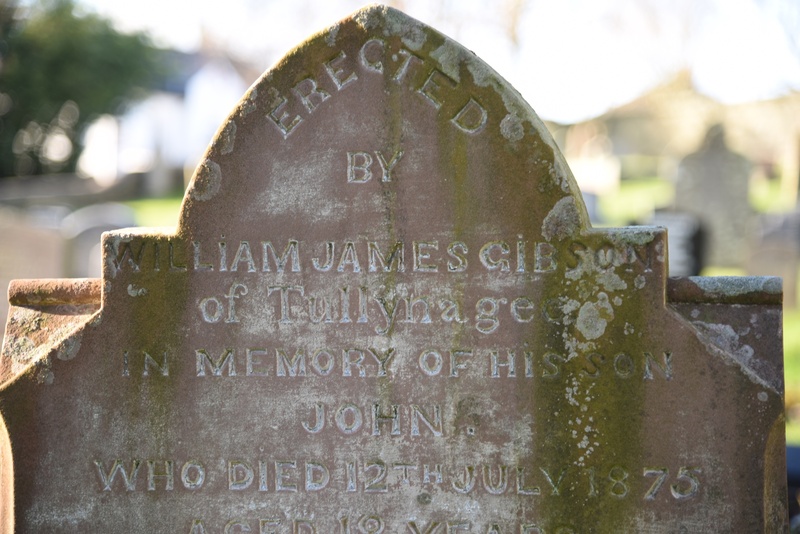 The local graveyard is in Kilmood, where I found this headstone for the Gibson family of Tullynagee. 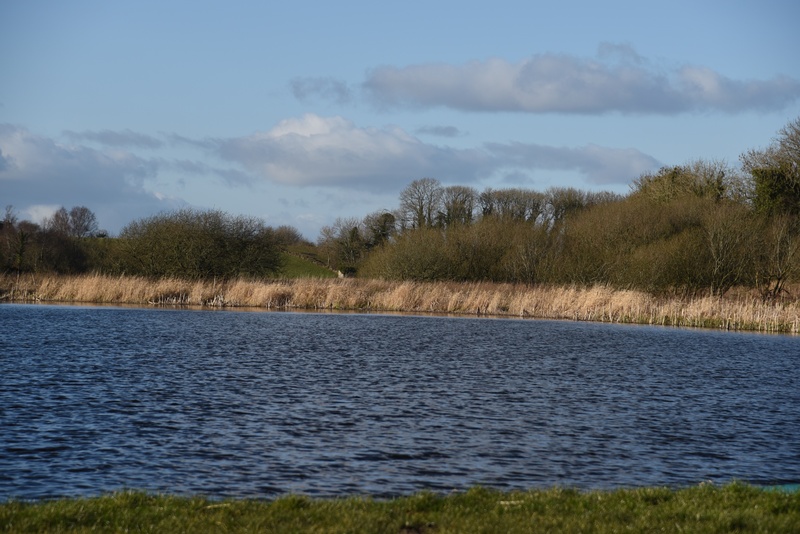 Which other townlands border Tullynagee? Clockwise from the north, Lisbarnet, Ballyministragh, Kilmood & Ballybunden, Drumreagh, Magherascouse and Ballykeel. And finally, click here to read the history of the townland’s name on my usual source, PLACENAMESNI.ORG. Very close to my home again – lovely article. I think there are also Tullynagee folk buried at Tullynakill…. Thanks, Laura. I haven’t been to Tullynakill graveyard yet. I love this, I was born in Ballymacreely, Killinchy not far from Kilmood.